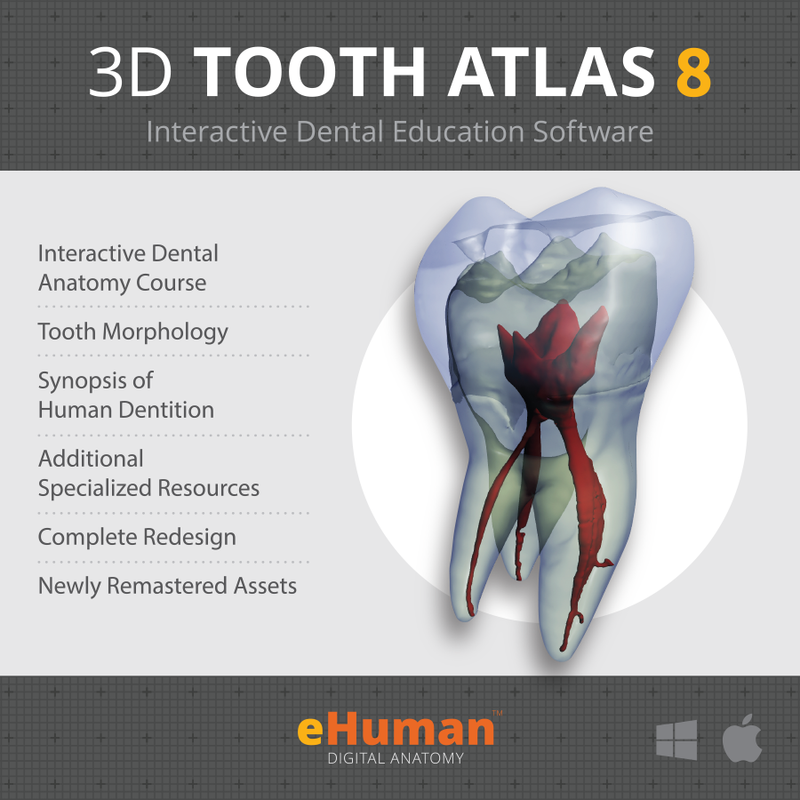 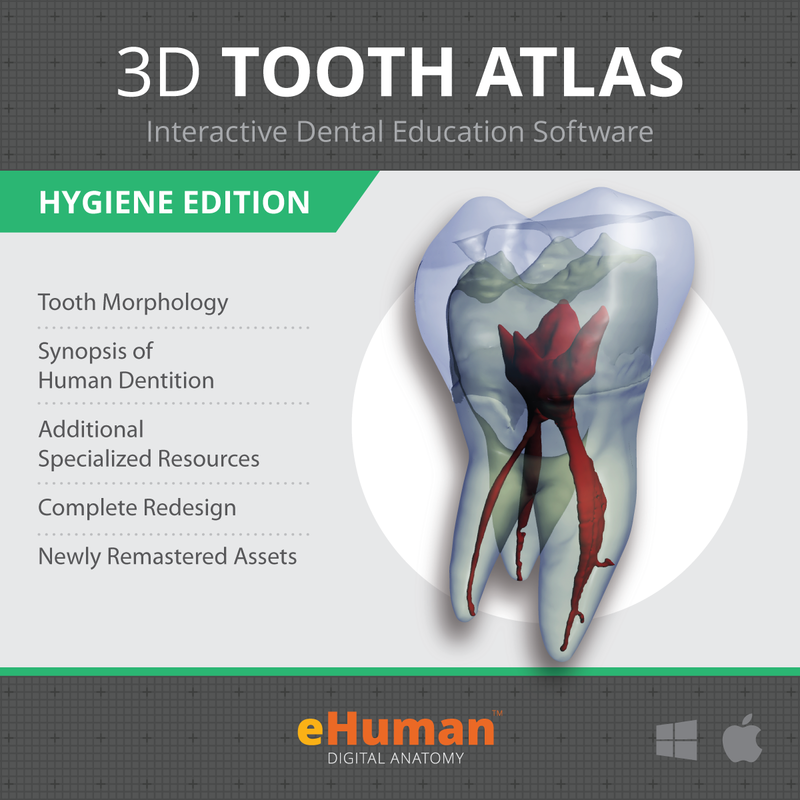 3D Tooth Atlas 9 Hygiene Edition is a revolutionary educational tool used by dental hygiene students, faculty members and practitioners around the world. 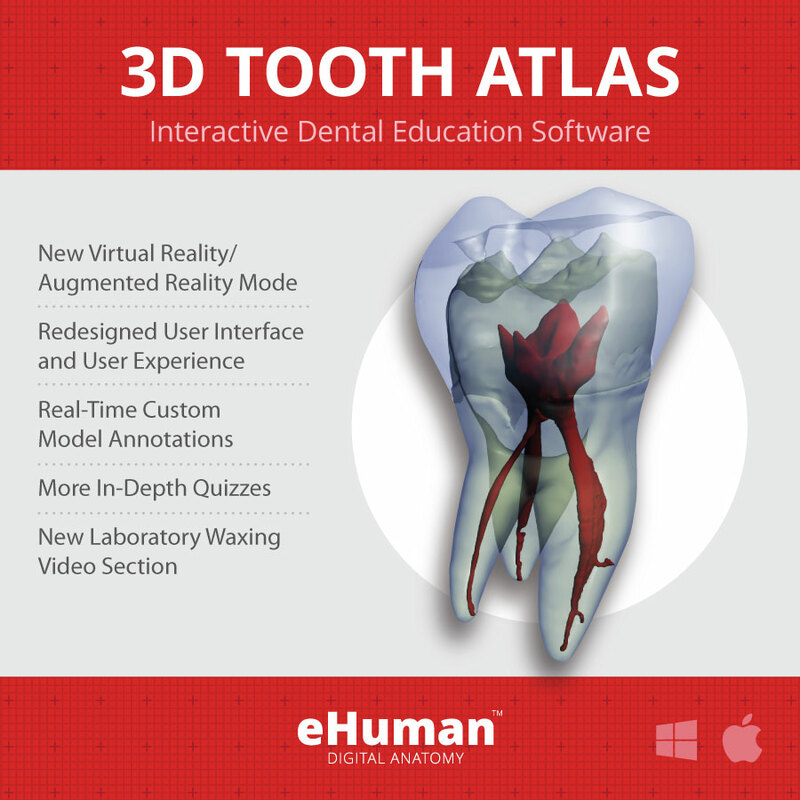 The 3D Tooth Atlas, has been integrated into the curriculum of more than 70% of North American dental schools, and is in use throughout the international dental community as a state-of-the-art professional and patient education solution. 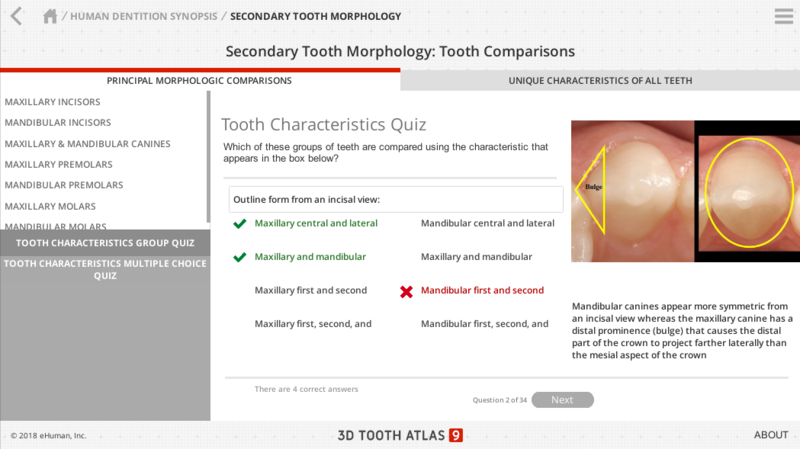 Featuring 3D sections on Periodontology, Odontogenesis, Anthropology, Dental Embryology, and Clinical Access. 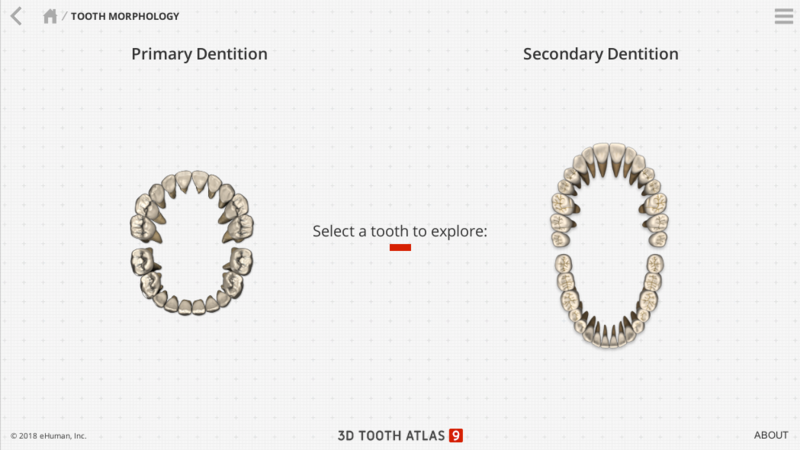 The Clinical Access portal directly accesses the 3D models of teeth for easier and quicker viewing and to facilitate patient and staff education.